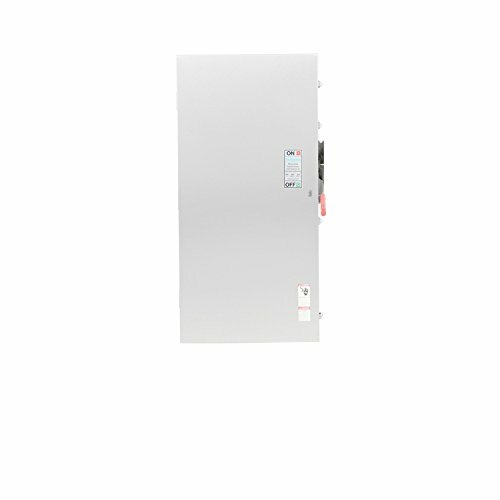 Siemens safety switches are UL98 and csa certified, hp rated, and approved for service entrance applications. Enclosures are constructed with a compact one piece lightweight construction that enables easier installation even in tight spaces. All switches provide multiple break current paths for excellent load endurance, reducing heat and increasing switching speed. Extended endurance cycles provide three times the UL requirement. Lugs are lay-in style with removable top for easier Wiring. The enclosure incorporates an upward flange to prevent water, ice, and snow access from the top of the enclosure and generous wire gutter space that meets or exceeds NEC wire bend space requirements. Reductions in seams and large overlaps improve sealing characteristics. An extra ground lug on the neutral eliminates the need for installers to add additional lug when required for local Codes.